If legal means of publication fail, Internet has other ways of keeping books in circulation: Doniger. 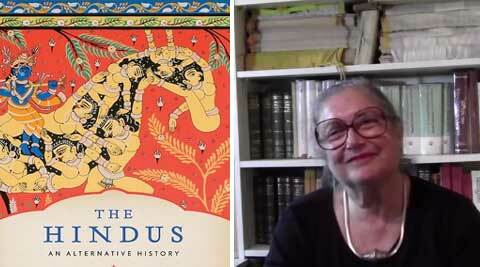 American Indologist Wendy Doniger whose book “The Hindus: An Alternative History” was withdrawn following objections that it hurt sentiments of Hindus is “angry and disappointed” over the development and says the “true villain” is the Indian law. “I was, of course, angry and disappointed to see this happen, and I am deeply troubled by what it foretells for free speech in India in the present, and steadily worsening, political climate,” Doniger said in her email reaction. Penguin India Books Pvt Ltd has informed a Delhi court, which was hearing a case filed against it, that it had reached an out of court settlement with the petitioners and would recall and destroy all copies of “The Hindus: An Alternative History”. “I am glad that, in the age of the Internet, it is no longer possible to suppress a book. The Hindus is available on Kindle; and if legal means of publication fail, the Internet has other ways of keeping books in circulation,” Doniger said. “People in India will always be able to read books of all sorts, including some that may offend some Hindus,” said the author who added she “intends to write a longer article” on the issue. Doniger, currently a Mircea Eliade Distinguished Service Professor of the History of Religions at the University of Chicago said she does not blame the publisher Penguin Books India for the decision to recall and withdraw all copies of her book, published in 2009. “As a publisher’s daughter, I particularly wince at the knowledge that the existing books (unless they are bought out quickly by people intrigued by all the brouhaha) will be pulped. But I do not blame Penguin Books, India,” she said. She stated that other publishers have just quietly withdrawn other books without making the effort that Penguin made to save her book. “Penguin, India, took this book on knowing that it would stir anger in the Hindutva ranks, and they defended it in the courts for four years, both as a civil and as a criminal suit,” she said. “They were finally defeated by the true villain of this piece — the Indian law that makes it a criminal rather than civil offence to publish a book that offends any Hindu, a law that jeopardises the physical safety of any publisher, no matter how ludicrous the accusation brought against a book,” Doniger said.